Environmentalists have become used to attacks on the Amazon by Brazil’s president Michel Temer, but the latest happenings may be the scariest of all. Temer faces multiple accusations of corruption—and has barely survived two votes in the Brazilian Congress to commence impeachment proceedings against him. On both occasions, Temer’s survival has hinged on votes of the conservative “ruralist” block—members that represent large landholders and control a big block of the Congress. Prior to each vote, billions of dollars in handouts were granted to selected deputies in Congress. But the cost was not only financial—it was also paid for by the Amazonian environment, via an amazing series of government concessions. Temer’s second impeachment vote on October 25th didn’t end the bonanza for the powerful ruralists. Opinion polls show that Temer has only 3 percent public approval—the lowest figure ever recorded for a Brazilian president—and there are still dozens of other impeachment proposals pending in Congress. To survive politically, Temer needs to keep appeasing the ruralists. Last month he met with the ruralists and reportedly promised a frightening new executive order—one that would allow indigenous lands to be ‘rented out’ to agribusiness interests. This is astounding from environmental and social perspectives: the Brazilian Amazon has the largest expanse of indigenous lands in the world, each designated to protect a particular native people. The indigenous lands are not just traditional territories. They’re also doing a critical job of reducing illegal deforestation and fires in the Amazon—in many cases doing as well or better than national parks and other formally protected areas (see here and here). This is because the highly territorial indigenous groups fend off illegal loggers, miners, ranchers, and land thieves. The Brazilian constitution gives indigenous peoples the unassailable right to designated lands on which to continue their traditional livelihoods—lifestyles that have persisted for many centuries or millennia. 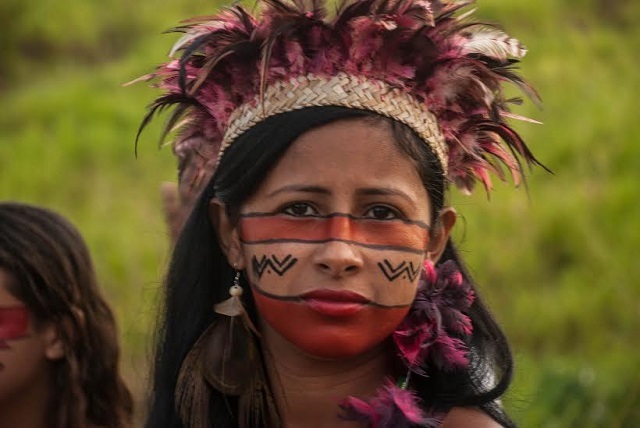 This vital right of indigenous groups has been dutifully carried out by past Brazilian governments, often with large international funding (such as the G-7 Pilot Program for the Brazilian Rainforests). Overall, demarcated indigenous lands—which are both constitutionally mandated and involve extensive efforts by global donors—now total around 25 percent of the Brazilian Amazon. To legalize agribusiness activities in such sacrosanct territories is both unconstitutional and grievously illegitimate. For one thing, how could it not beget more criminal activities in the Amazon? Who can imagine remote groups of indigenous peoples—many of whom are unfamiliar with the modern world—resisting fast-talking entrepreneurs showing up with swollen bags of cash and lavish promises? And by slicing into remote and protected areas of the Amazon, agribusiness interests could be cutting their own throats. This is because Brazilian agribusiness direly needs an intact Amazon rainforest to sustain its own rain-fed agriculture. Much rainfall in the Amazon and in surrounding lands are generated and recycled by the Amazon itself—a phenomenon that is well-studied and documented scientifically (see here, here, and here). As the forests vanish, you get sparser rainfall, more droughts, and less climatic stability—it’s as simple as that. No matter how you look at it, the disastrously ill-advised actions by president Temer and his ruralist political accomplices should die. If conservative legislators in Brazil get their way, nature reserves in the Amazon could be slashed by around 1.5 million hectares -- an area bigger than the Bahamas. From a nature-conservation perspective, this would be a foolish and dangerous step backwards. By promoting further forest loss, the attack on nature reserves might even destabilize the Amazon's climate, which relies on moisture that the rainforest effectively produces itself. Further forest disruption could even tip the balance toward Amazon dieback -- a catastrophic scenario in which more deforestation worsens dry-season droughts and wildfires, leading to ever more deforestation. Political dangers are popping up all over the Brazilian Amazon. For example, Brazil’s vast state of Amazonas -- twice the size of Texas -- has so far prided itself in being one of the most intact areas of the Amazon. But the cancer of deforestation is set to grow rapidly in southern Amazonas, where forests are already highly vulnerable. In March, Congressional members from Amazonas -- with the backing of Brazilian President Temer -- moved to revoke or drastically downgrade protected areas in southern Amazonas (see here, here, here, and here). Trouble is also brewing in nearby Pará, another massive Amazon state. On March 12, it only took 7 minutes for one of Brazil's Congressional Chambers to mutilate 510,000 hectares of reserves in Pará, transforming them into public lands or a loose land categorization (APAs) that has almost no real protection, and can be sold as private property. In Brazil, as in many other developing nations, attacks on protected areas are proceeding apace. Parks are being carved apart, weakened legally, or entirely cancelled to allow access for mining, oil and gas developments, dam construction, and to slice up the parks with new road projects. This phenomenon has an acronym: PADDD, or Protected Area Downgrading, Downsizing, and Degazettement. And there's even a cool website where you can see thousands of PADDD events happening right now, in any part of the world. The Amazon's protected-area network plays a vital role in limiting the vulnerability of the region's forests to aggressive land-use exploitation. The Amazon has regional and even global impacts on our climate, and is a storehouse for incredible biodiversity. It's time for the world to stand up for the Amazon -- to show parochial political groups in Brazil that far too much will be lost if the wheels of progress crush nature beneath them.